1. A special automator service for affiliate marketers (VigLink). 2. A duplicate content finder (Plagium). 3. A grammar assistant tool (Gramlee). There’s a lot to know and do to be successful in creating an online business. So tools that make things easier and faster are always welcome, in my opinion. Just thought it might be nice to share a few of them with you. Watch the clip from this past week’s show below to see what they are and how they work. Hope they help! And feel free to contact me about new tools that you think are cool, as well. 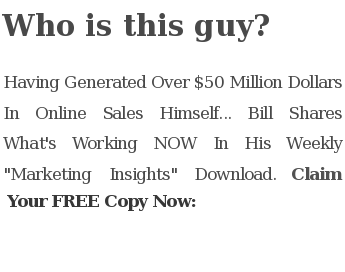 This entry was posted in Training Videos and tagged gramlee, internet business, online marketing tools, plagium, viglink by Bill McIntosh. Bookmark the permalink.